What would you do when you want to watch a medical drama but you also don't want to go through the same old hospital beds and kind vs evil doctors. That is where Hospital Ship swoops in for a whole new ride. While the premise of doctors struggling through situations is well discussed, we cannot ignore the excitement that comes with the whole "ship", something only adventure enthusists would agree with. Story : As the name suggests, it is a hospital on a ship for the rural islands not connected by the roads. I have to say this drama was planned out on a creative and unique note with a promise of delivering something different and they start it with the same energy. The characters have been dropped in for their duties who start their story with a lot of grumbling. A reckless surgeon, a warm-hearted Internal medicine doctor, a Korean herbal doctor and a dentist. The staff is well selected with a mature and experienced head nurse and an enthusiastic nurse who is excited about becoming a scrub nurse but only a few characters are well developed and the rest are just toppings on a sundae. The cliche factor isn't avoided with famous star-kids and the table is set. You start hating Ha Ji Won's character as Song Eun Jae but very soon it isn't necessary because Doctor Kwak is the cute but warm hearted caring doctor that is physically impossible but that's why dramas have the ideally perfect people i guess. There are accidents, incidents, and a bunch of strange cases that can only happen in rural areas but the cliched endings are what get you bored after a while. This is an endearing watch but that's all. The excitement dies out after a while and you're left with sure-i'll-watch-it-meh. There are unnecessary love triangles and passionless pursuing and all that overlaps with the good characters you actually want to follow. Towards the end, the hospital politics decide it's time for the preface and you still know how it's going to end so you're watching it in the background while doing your work. The screenplay is ruined with tactless comedy and even Ha Ji Won loses out. The dialogues, cinematography and plot everything could have been better only if they had properly concentrated on the main story without poking the main couple for more. Actors : This drama was waited more because of Ha Ji Won and she tries really hard to deliver it well. Her character as a reckless yet talented surgeon is not something you see regularly but her character shows how strong women can be, something she has done in most of her dramas. I am not going to blame her for her stunted dialogues that tried to make her look uptight but the beauty of a strong woman who cannot be perfect but i am going to comment on how the writer tried to bring about her imagination about the 'perfect' man/doctor out there and that's how Kwak Hyun was developed. What's shocking is that Kang Min Hyuk delivers it with his soft features and that slight smile with utmost perfection. There is a strange dignified maturity in their relationship that you normally don't see in k-dramas which is why i have no right to comment on the chemistry. I would have talked about the characters more if they had been well written but somehow, they aren't exactly commendable. Will i recommend it to anyone? I don't think i would. There are better medical dramas out there like the good doctor. Let me start off by saying, that there is so many cliches and absurd plot devices in this drama that you would think it was a makjang drama. This was by no means a perfect work of art and I get the distinct impression that the writer kind of lost her way when it got to the end of it. However, I liked this drama and I'm not sure if it's because I've gotten soft when it comes to dramas or if I'm being blinded by my new love of Min-Hyuk. As someone who always scrutinizes stories and will drop a drama in a millisecond if I'm displeased, I never once felt the urge to drop this drama even though there were quite a few "are you fxkjncvkkj serious?" and "fx! !k this crap" moments. I even fell behind and usually when I fall behind on episodes is when I realize I don't miss them and drop, but I still managed to get caught up with this one. I think Ha Ji-won did an excellent job at portraying her role of Dr. Song Eun-Jae.. She was especially good when it was the emotional scenes because I thought that was when we got to see the strength of her acting. Kang Min-hyuk surprised me a lot. I have never seen anything with him in it before (i never made it long enough with The Heirs to even notice he was in that.) I think Min-hyuk did a pretty good job at portraying the Dr. Kwak Hyun.. I enjoyed how .. for lack of a better word.. "sweet" Hyun was. He always was genuine in whatever he did and I felt the sincerity every time. A lot of people have complained that he is the weakest part of the drama and I wholeheartedly disagree. Min-hyuk may not have been playing some revolutionary character, but he definitely got the job done. This brings me to the people who said there was a lack of chemistry.. I truly believe chemistry is subjective because I can tell you that I did not feel an ounce of chemistry between a certain kdrama couple that everyone and their mama loves which have a similar age gap that I thought was painfully noticeable. I guess when its top stars yall have different standards. Truthfully, I wasn't even aware that there was a 13 year age gap until I tried to find out who Min-hyuk was. Another thing I liked about the drama was the moments where we got to see the Hospital Ship really shine as a family. I felt as though those scenes were far and few in between and would've been more impactful if they were more frequent. Nonetheless, the cast worked well together and the few things that I found to be amiss were generally the points where everything felt overly saturated with nonsense. Like the dentist was listed as a main (on wiki), but I literally cannot tell you a darn thing about him. I also felt some of the plot lines existed for no reason and feel kind of half done? The last two episodes felt like a bit of a "we forgot to really sell the romance, lets do bullcrap." /I/ would've done this a different way but I am not Yoon Sun-Ho so I mean whatever. Is it the best medical drama out there? No. Is it the best storyline ever? No. However, I think Hospital ship was a quite pleasant drama.
"" Hospital Ship "playing doctor in the water". The drama is short, but it lost its double-digit status according to Nielsen Korea, and understandably. He also has a premise that reminds me of the romantic doctorate professor in "Kim Doctor", which is fine, a talented surgeon from the big city heads to the poles and discovers that this new environment is frustrating but steadily growing in a true doctor. Overall a lot of cute friends' drama and a very rewarding fun it's worth it. Story: The Story sounded very interesting when I first heart about it. 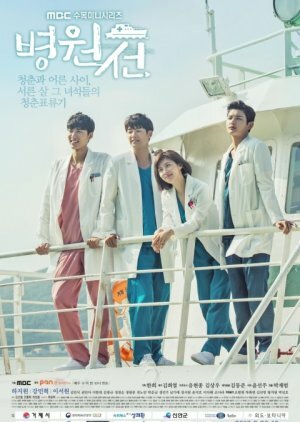 I thought that a drama about doctors and nurses who are working on a hospital ship would be great. I didn‘t know they would add a romance. I love romance in dramas but not in a drama like this. At the beginning the drama had so much potential to become one of my favourite dramas because it was very different from other shows. But why did they add a love triangle (and a love story). At the beginning the story was good, but it got down after a few episodes. Cast: Honestly, the Cast was the reason why I watched it til the end. Ha Jiwon is one of my favourite Actresses and I have watched many dramas with her, even though the story wasn‘t very good. Ha Jiwon is an amazing Actress, maybe one of the best in Korea. But I didn‘t liked her role in the drama. I don‘t know why, but she was very cold to other people even though the other person was nice to her. To keep it short she acted very good, but her role wasn‘t very good for me. The character got on my nerves. My favourite Actor war Lee Seowon and he was the one Actor I felt the most sorry for. Seowon has so much potential to become a very good and famous Actor but he chooses projects who aren‘t very good. Although I liked all of his roles until now. Seowon acted as the son of a hospital director and seems to be very arrogant on the outside. On the inside he is very lonely and sensitive, because of his family and past. I don‘t understand why he doesn‘t get a first lead role. I hope he gets one in the near future because his performance in this drama was one of the best. The supporting Actors acted well but not amazing. Music: The OST was good and it played at the right moments. I would recommend it if you don‘t care much about chemistry or if you can ignore a romance which isn‘t very useful. 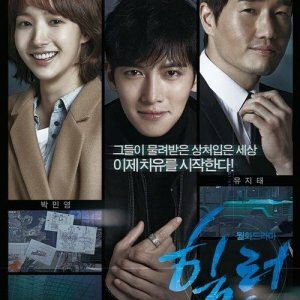 This drama is such an intense roller coaster and has an unique plot. (well everyone else says otherwise but I thought the plot was interesting). I am currently a huge fan of medical dramas cause I find them really interesting so I guess you can say I'm a bit biased when reviewing medical dramas. This drama is somewhat realistic as it explores the life of doctors and what they have to put up through on a daily basis. The life staking choices they have to make knowing that someones life in their hands. 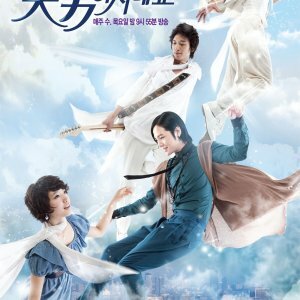 My favourite character in this drama is the lead Song Eun Jae. She is such a strong, brave , intelligent and independent women who has gone through so much. I think that writers need to create more interesting female characters like her. The chemistry between the let's was spot on but I admit their romance was a bit cliché. 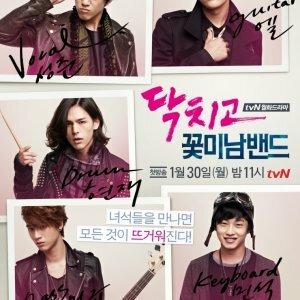 At first I ignored this drama and was not going to watch it but I gave in and I don't regret it. Full review in more detail is on my blog.